Generates a faster onset of action and results in more predictable pharmacokinetics than oral formulation. Exhibits analgesic action by peripheral blockage of pain impulse generation. Produces antipyresis by inhibiting the hypothalamic heat-regulating centre. Exhibits anti-inflammatory activity which is related to inhibition of prostaglandin synthesis in the CNS. Shows the property of effective analgesic across a variety of surgical procedures. Improves pain management & reduces opiod requirements in surgical patients care. Fastens recovery after surgery & ensures rehabilitation and transfer to the outpatient setting,while reducing overall costs. 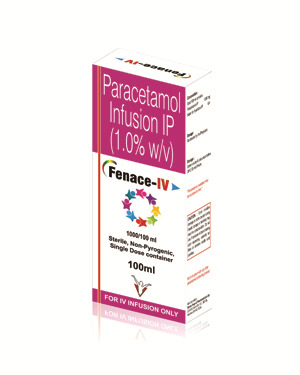 Enhances bioavailability & earlier onsets of analgesic effect in the immediate postoperative peroid.